These Chapstick All Things Sweet Lipkits have been lighting up Instagram lately and obviously I had to hunt them down for myself. 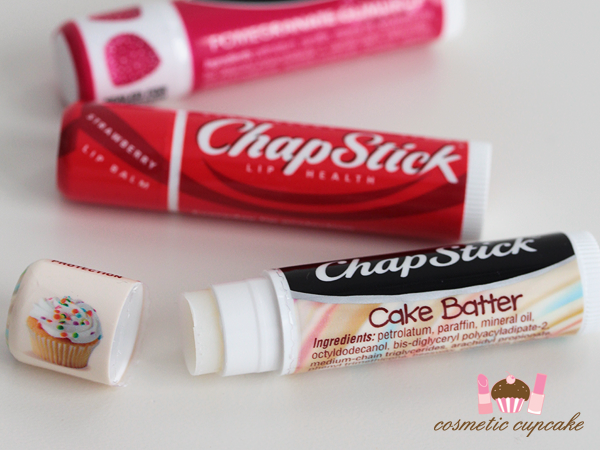 I mean CAKE BATTER LIP BALM seriously. Oh yes. 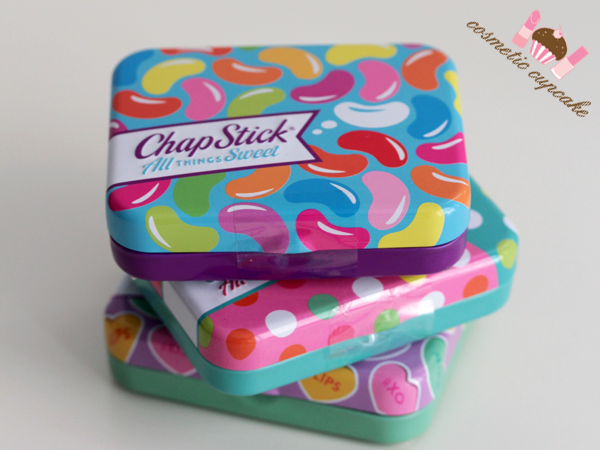 The lip balms come in collectable tins and are available in 7 different cute designs inspired by sweets. My favourite is the lovehearts candy one! 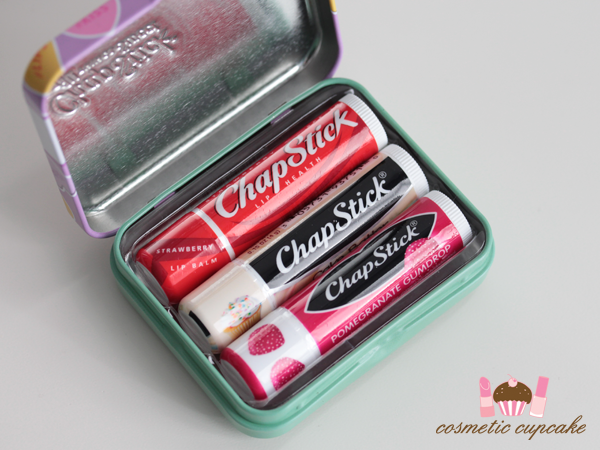 The tins are a great way to carry your balms in your handbag or to store small items like bobby pins. 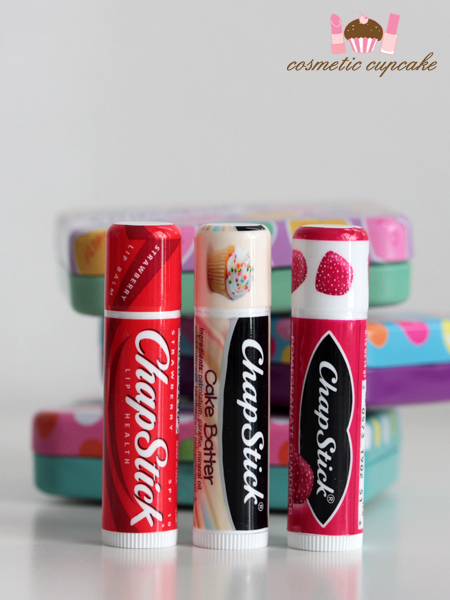 There are 3 lipbalms included in each kit - Strawberry, Cake Batter and Pomegranate Gumdrop. The one I was most interested in was Cake Batter of course and it doesn't disappoint. It's vanilla-y and smells good enough to eat. Pomegranate Gumdrop doesn't really smell like pomegranate to me but it has a candy fruit scent to it however I'm not sure I'd buy it on it's own if it wasn't in the lip kit. I'm sure you've all used the Strawberry at some point and it's still sweet and fruity. Overall: These are yummy and a must buy for the cuteness factor. They aren't the most moisturising lip balms but hey when they smell this yummy and you get change from $10 it doesn't really matter! Details: The Chapstick All Things Sweet lipkits are available now from Chemist Warehouse, My Chemist and Woolworths stores Australia wide for $8.99 and apparently they'll be available at Priceline soon too. For a full list of stockists head to the Chapstick Aus Facebook page. Οh, they look yummy! And the tins look incredible cute! Argh, wish we had these in the UK! 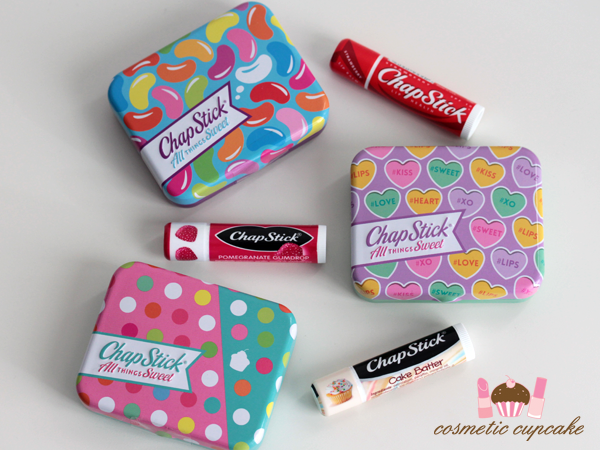 so cute chapsticks, tins look cute as well. China Glaze Surprise collection giveaway winner!